The City has actively been working towards making our community cycling and walking friendly. In the City’s previous master plan (1995-1999), trail development was identified as one of the highest requested recreation amenities. This resulted in the development of a Cycle/Walk Master Plan in 1999 and a revised plan in 2006. This planning formed the partnership with the City, and the Rotary Club, resulting in the development Rotary Way. Rotary Way now begins at Idlewild Park and travels approximately 10 km through Kinsmen Park, heading north where it connects with recently constructed Chief Isadore Trail. New linkages completed in 2017, connect Rotary Way to the 26 km NorthStar Rails to Trail system. In 2016, the City completed a new ten year Parks and Recreation Master Plan. In this plan, respondents again identified the development of additional paths and trails as a top priority for improvements to parks and recreation within the City. Walking/hiking and jogging was identified as the top recreation activity for our residents. During this planning process, additional detail was collected, identifying specific linkages and needs. Staff utilized this new information, compared it with outstanding items from the previous planning exercises, and prepared an updated map of proposed routes, along with trail standards. 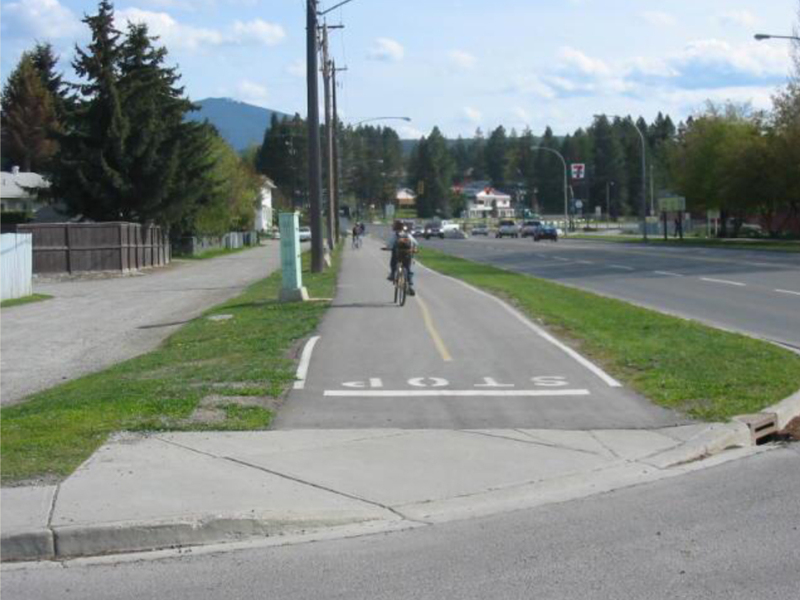 The City of Cranbrook is looking at continued implementation of its City wide Cycle Network Plan in 2019. Road marking was completed in 2018 with signage to follow in 2019.